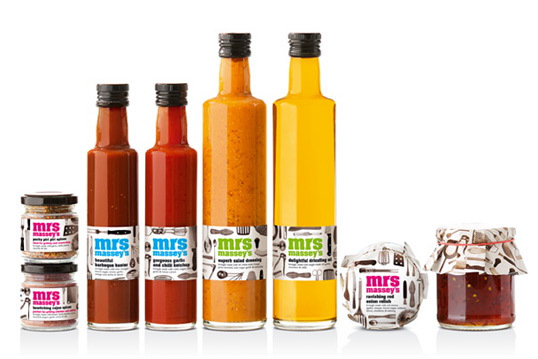 Ziggurat Brands took Nicola Massey from supplying her range of homemade chutneys and sauces to local markets and school fetes, to Harvey Nichols and Fortnum & Mason with a new brand image for her products. A FAB project by Ziggurat. It earned them a category FAB Award in London. Something about the long bottles remind me of old times. The product has an aura of being very ‘personal’. Well done.